Configuring port forwarding, dynamic DNS, remembering TCP port & IP addresses are a thing of the past! 2. On the EasyFind line, click Enable (then Subscribe if you havent already - there is a free trial for 7 days). 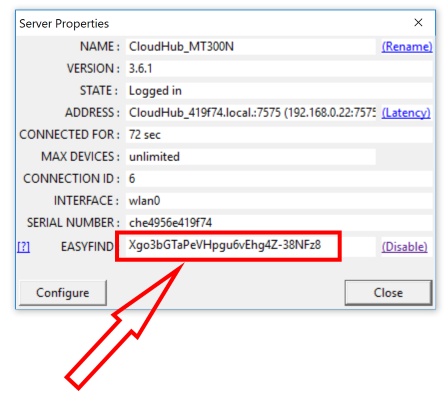 Copy the Easyfind address shown and email it to your remote client. The VirtualHere Server and Client can both be behind a NAT or over a mobile network (Carrier Grade NAT). 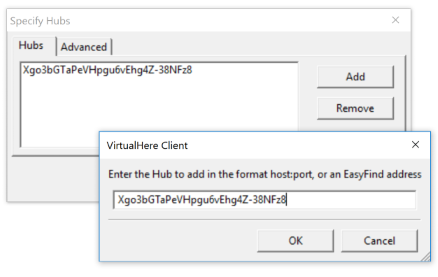 VirtualHere EasyFind works with almost all network topologies and requires no network configuration. There is a FREE trial to see if its useful for your use-case.